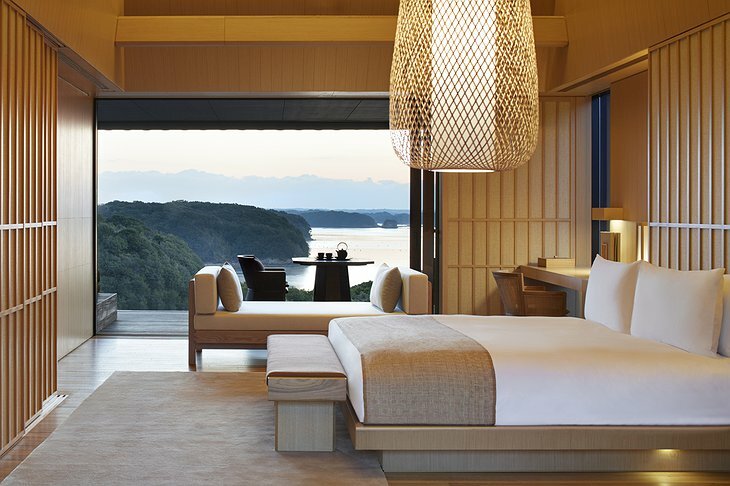 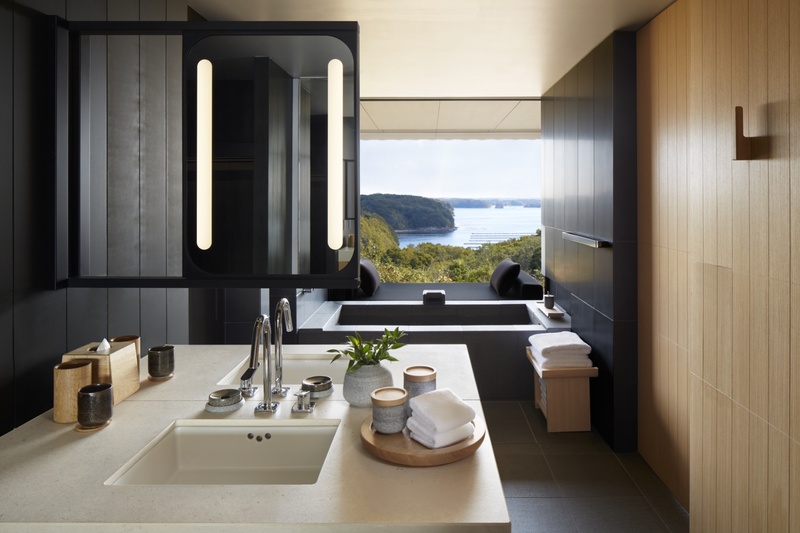 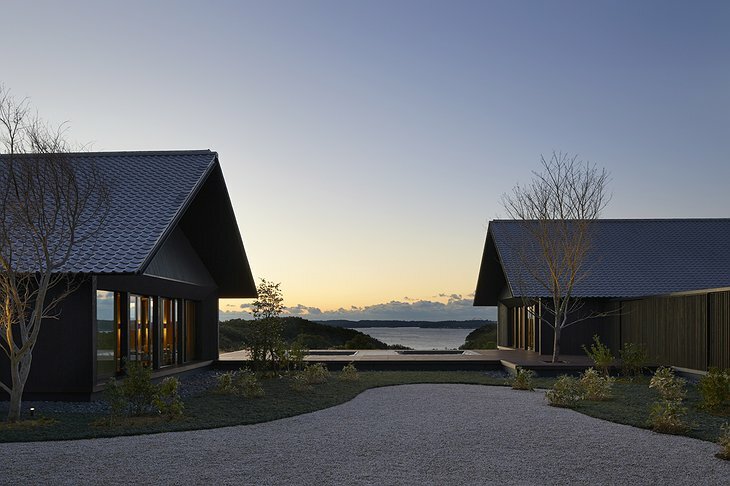 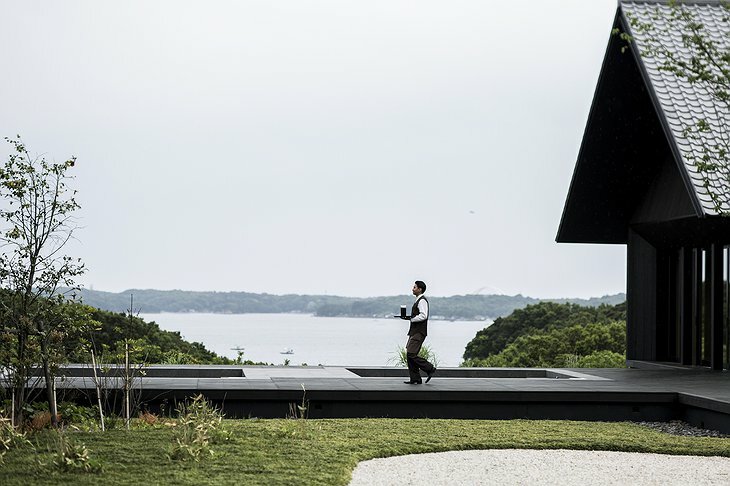 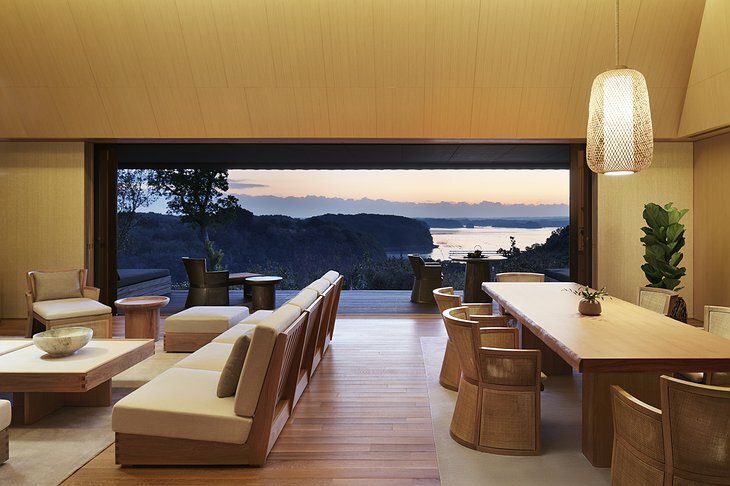 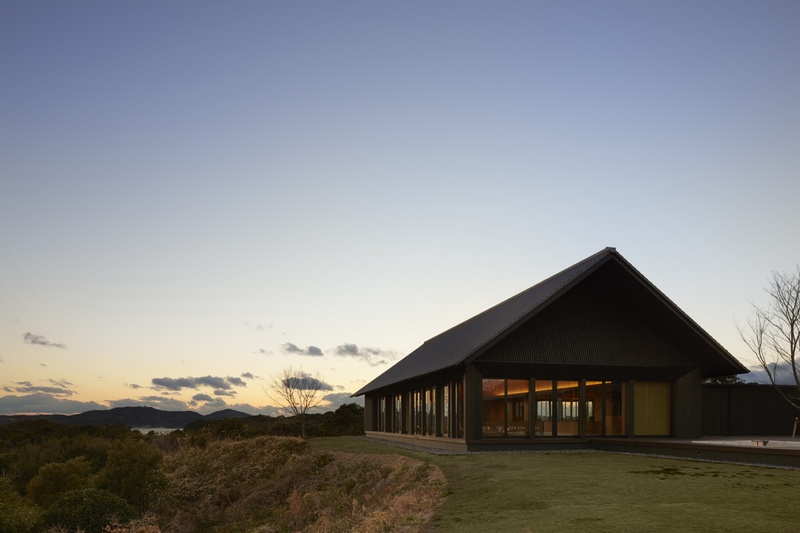 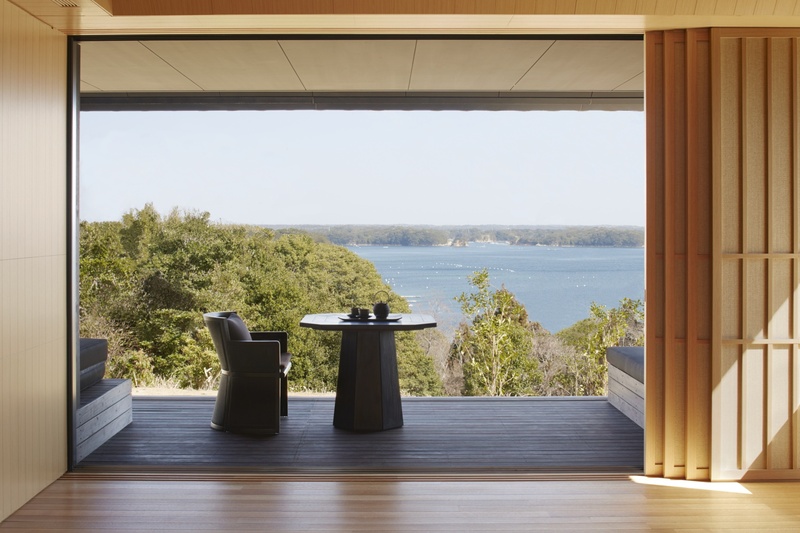 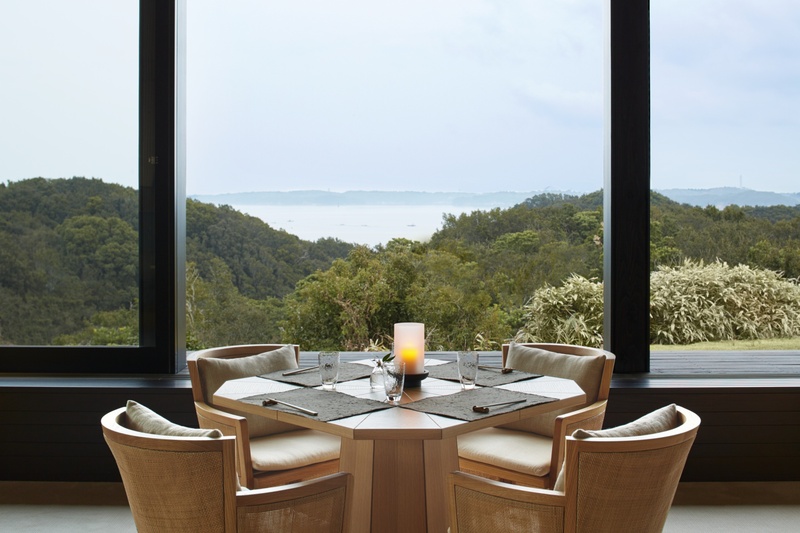 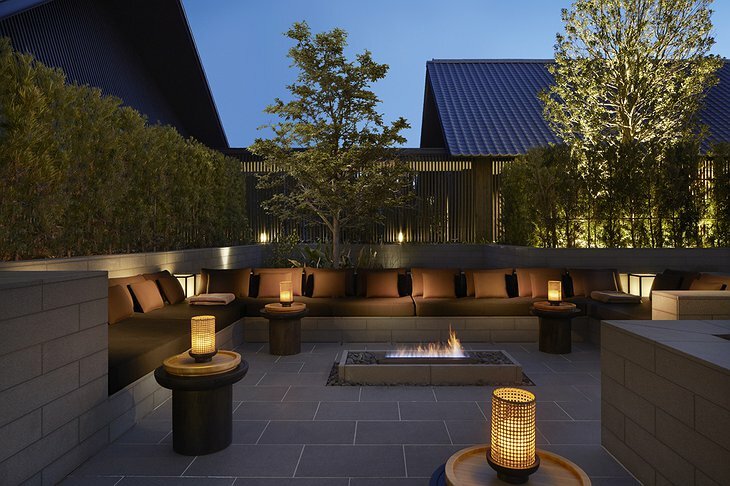 Located in a remote part of the beautiful Ise-Shima National Park in Japan, Amanemu is a hidden luxury retreat. The resort overlooks Ago Bay, known as the Bay of Pearls, and is surrounded by lush forests and golf courses. 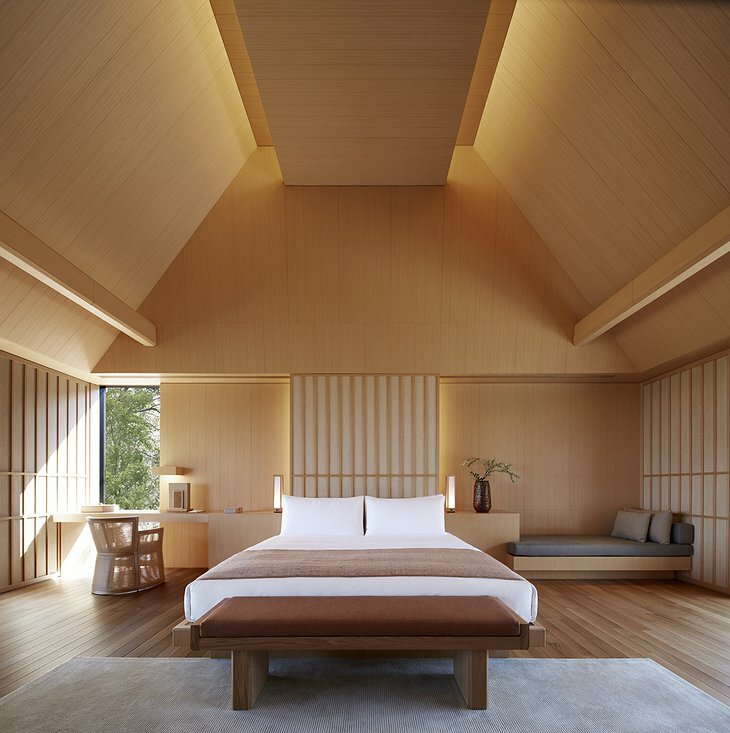 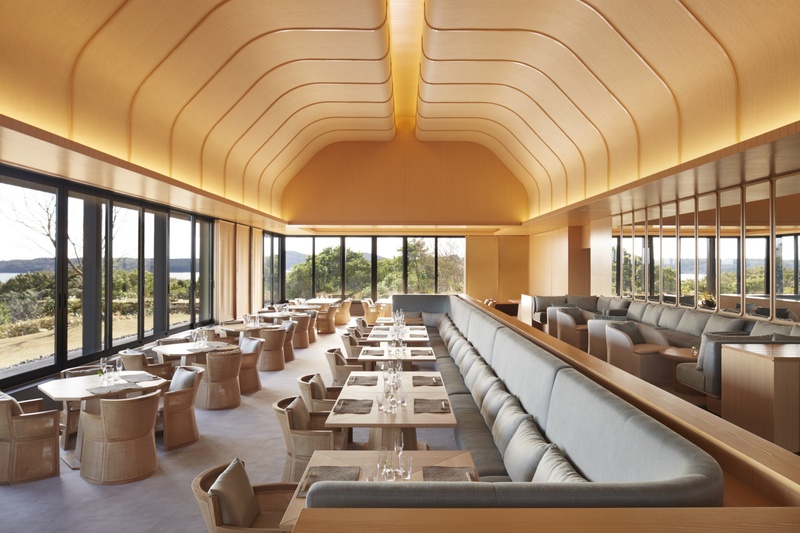 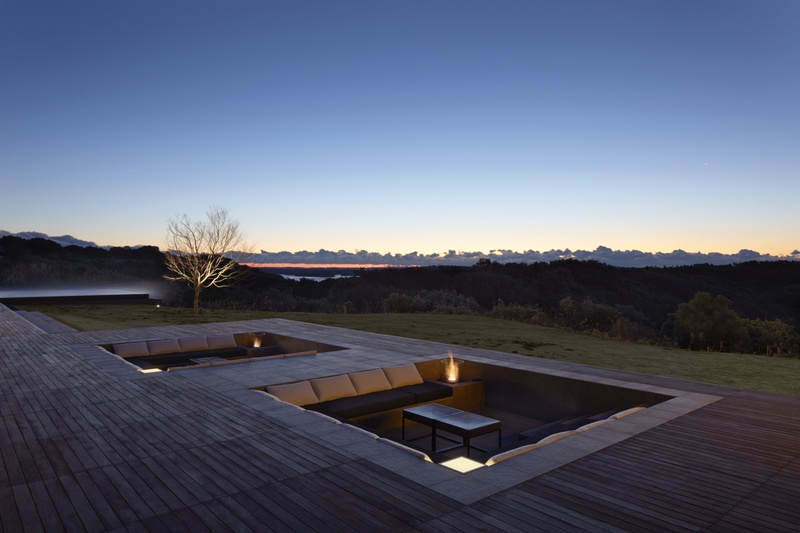 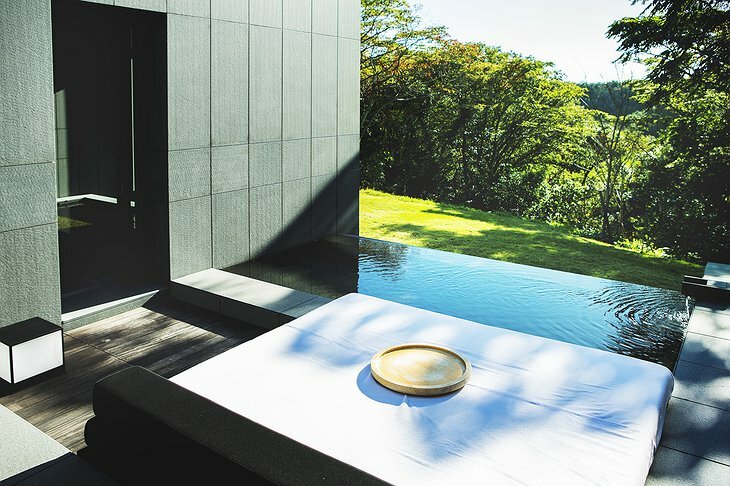 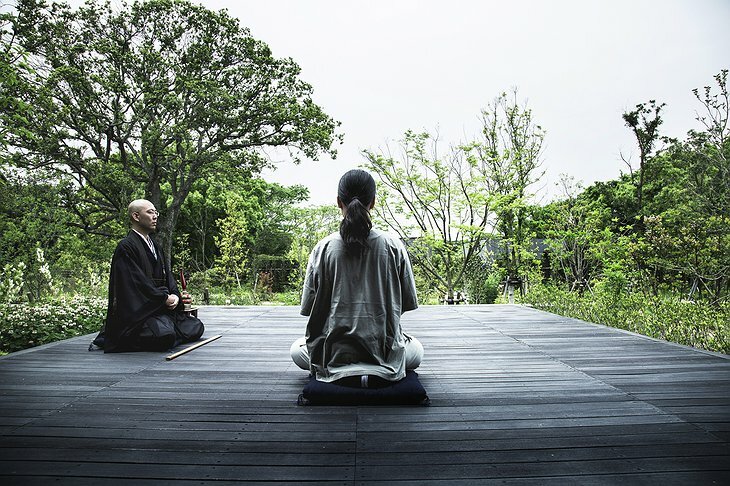 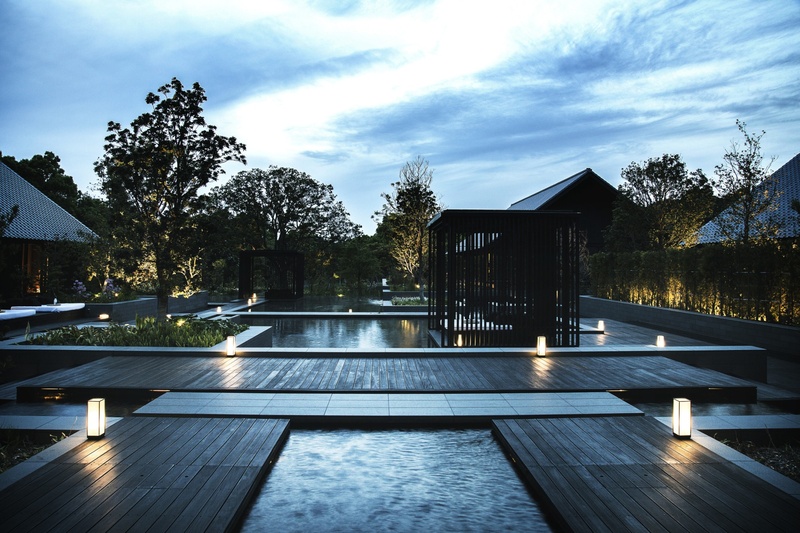 The architecture of Amanemu is a true celebration of minimalism. 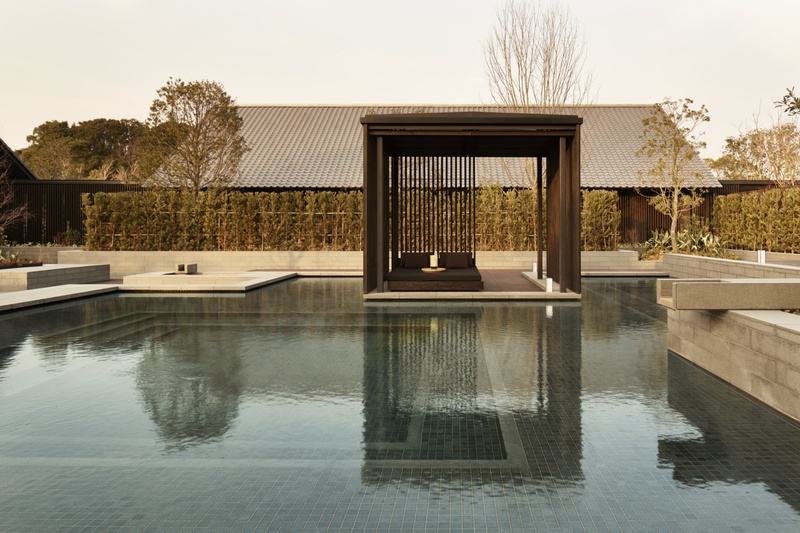 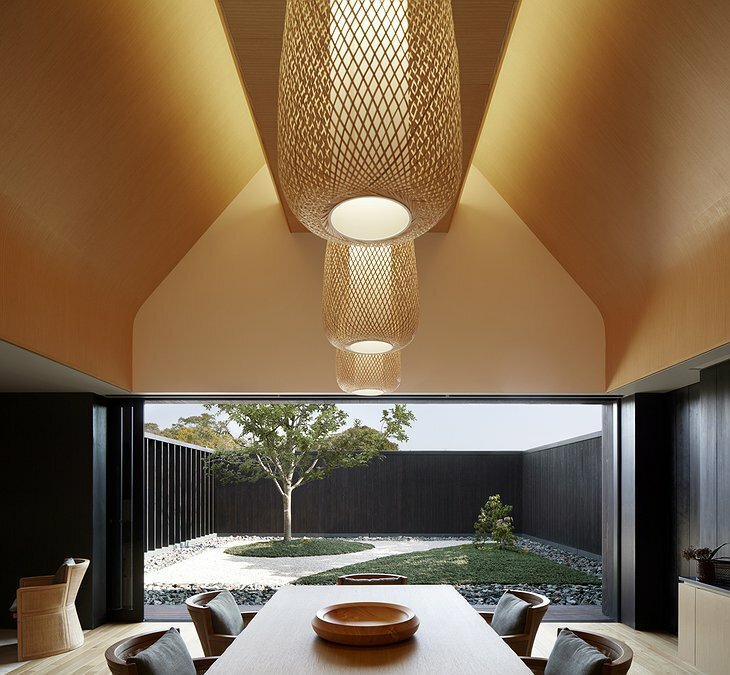 Inspired by the traditional Japanese minka houses, the villas feature mostly natural materials such as wood, bamboo and stone. 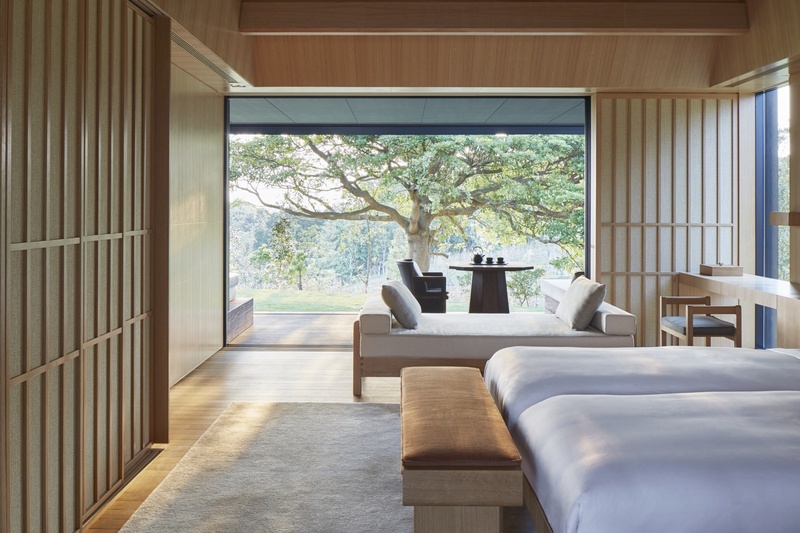 With simple interiors and a soothing colour palette, this place is made for relax. You can choose between a suite or your own villa with a private garden, a living room and several terraces. 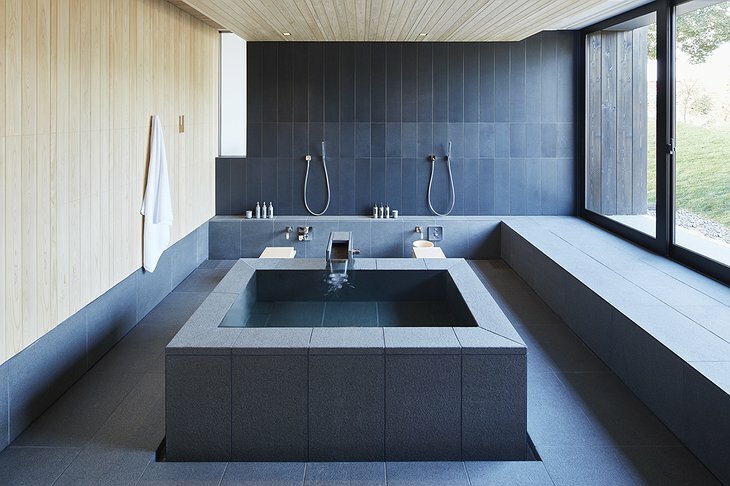 The highlight of your accommodation, whether a suite or a villa, will be the huge stone bath with three taps: cold, hot and onsen. Onsen is the ancient Japanese bathing tradition using natural hot springs, which you can enjoy from the comforts of your own room. If that isn’t dreamy enough yet, the bath overlooks stunning sea or forest views. 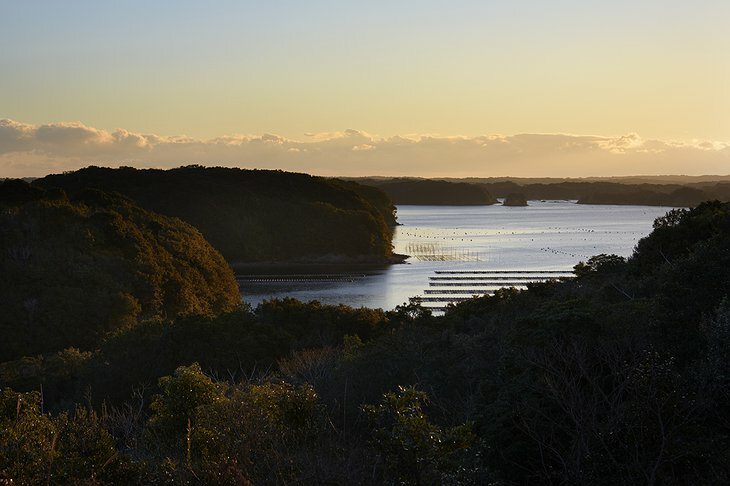 Thanks to the fantastic location, you can enjoy a vibrant mix of nature and culture here. Ise-Shima National Park offers great hiking and the island-dotted Ago Bay is best explored by boat. You can also visit Ise Grand Shrine, one of Japan’s most scared and ancient sites. 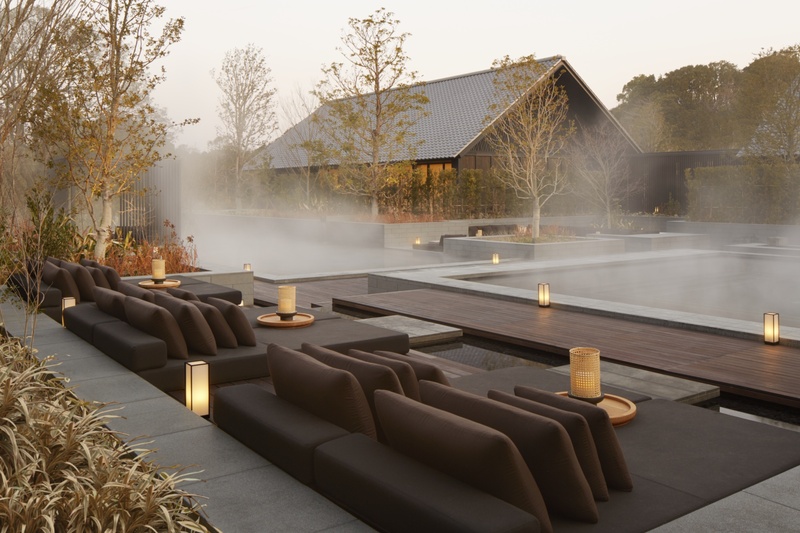 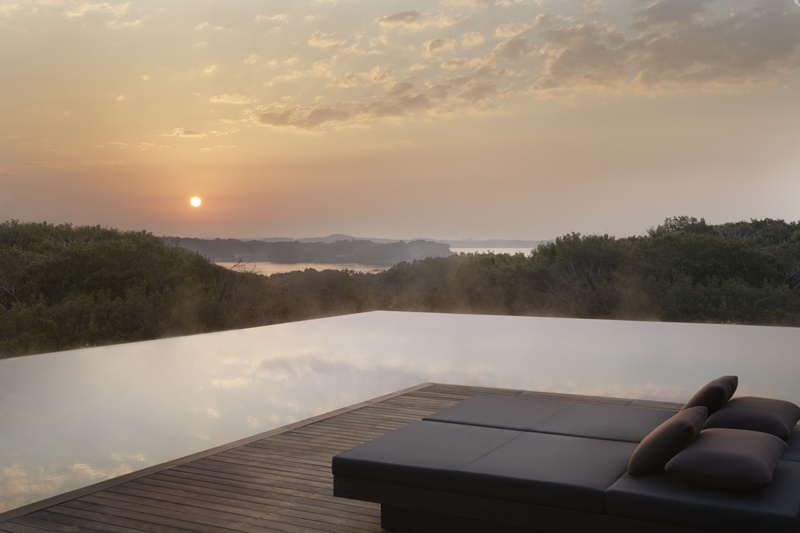 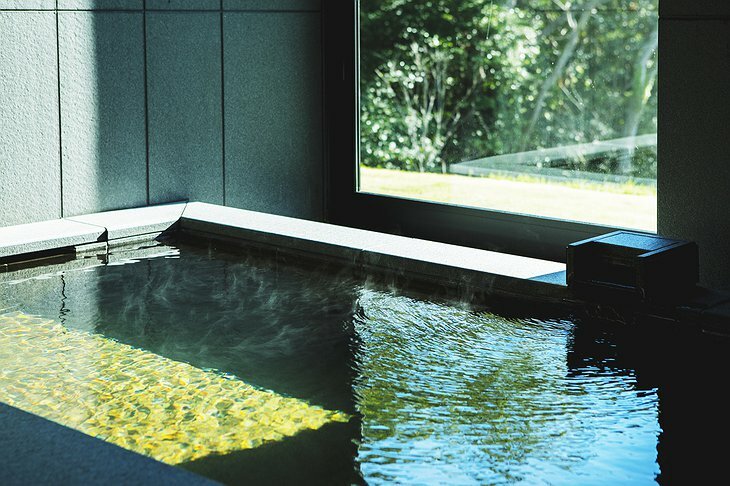 And, of course, don’t forget to do what Amanemu is best suited for: relax. 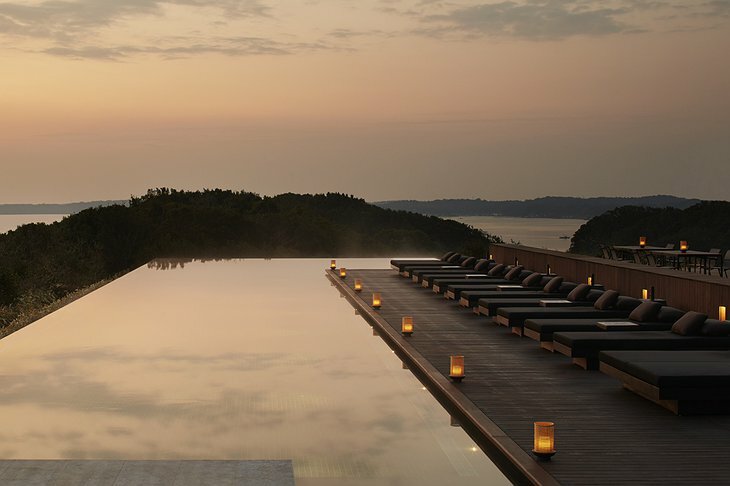 The thermal water spa and the infinity pool overlooking the sea should do the job just fine.